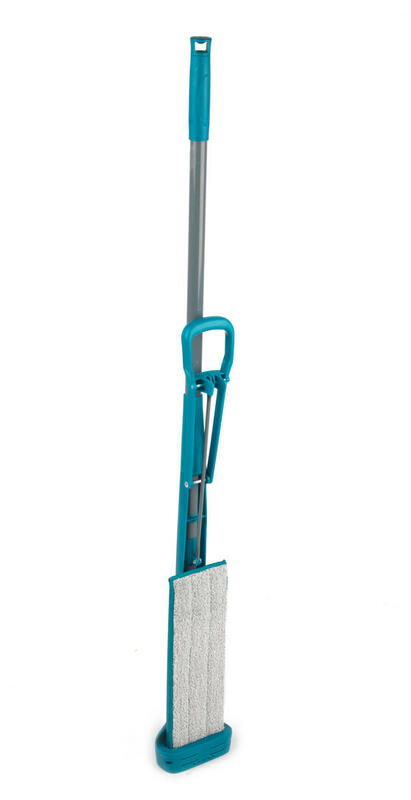 Make mopping the floor an effortless task with this Beldray self wringing squeegee mop. The vibrant turquoise design will brighten up your cleaning cupboard instantly and is essential for flawless cleaning around your home. 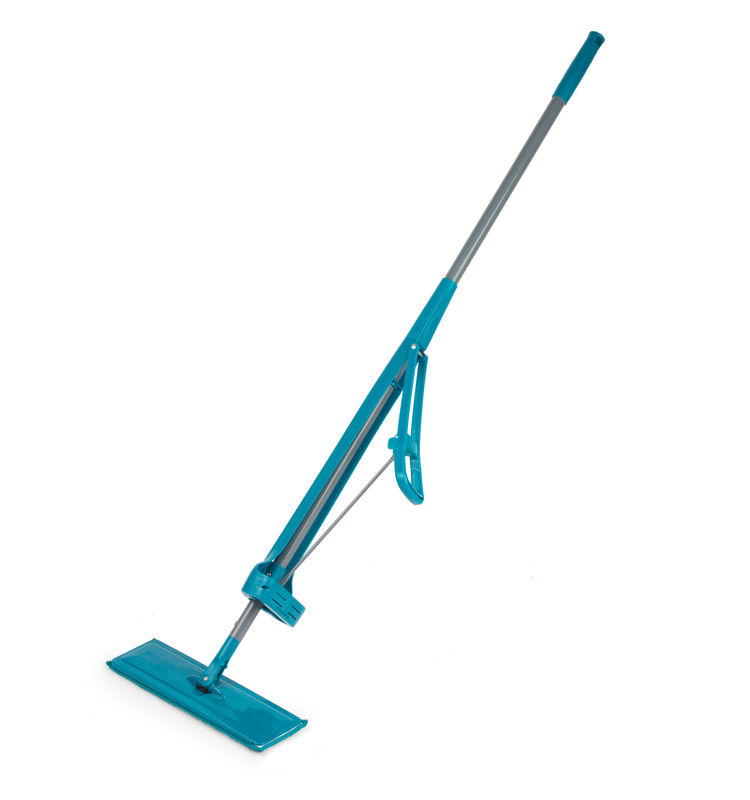 With a telescopic handle that extends up to 135 cm you can enjoy easier mopping with further reach. The smart self wringing function results in minimal mess and your floors will dry twice as fast, leaving your floors fabulously clean and with increased shine for much longer. The Beldray squeegee mop is more hygienic and efficient, making your floors dry faster and keeping them sparkling for much longer. The ergonomic self wringing feature allows you to easily squeeze out any excess water without needing to get your hands wet and dirty. For quicker and more effective cleaning, the plate has a flat design and measures at 32 x 10.5 cm whilst also being incredibly durable. Made with soft and silky coral fleece, the mop refill is also washable to guarantee a streak-free clean on any hard flooring at home. You will be able to easily reach any tricky areas with the flexible rotating head and telescopic handle that extends up to 135 cm. Bought this as a replacement for the Leifheit mop, which left me increasingly frustrated because it left the floors too wet. You do need a rectangular bucket for this. It takes a short time to get used to it. It cleans the floors really well. It even makes light work of stubborn mud-paw-prints. Because it is flat it can go under the edge of f.i. a fridge. The best thing is that the floors dry in no time at all. The pad is machine washable, but I haven't tried that yet. It stays upright when you lean it against something, which is not important in the bigger scheme of things, but a nice little touch. It is a simple but effective way of cleaning floors. It's a bit short for me, but I'm above average height. Maybe not suitable for people with weak arms or wrists, you do have to use the lever to wring the mop. Brilliant mop but can I buy a new pad for this mop? ?